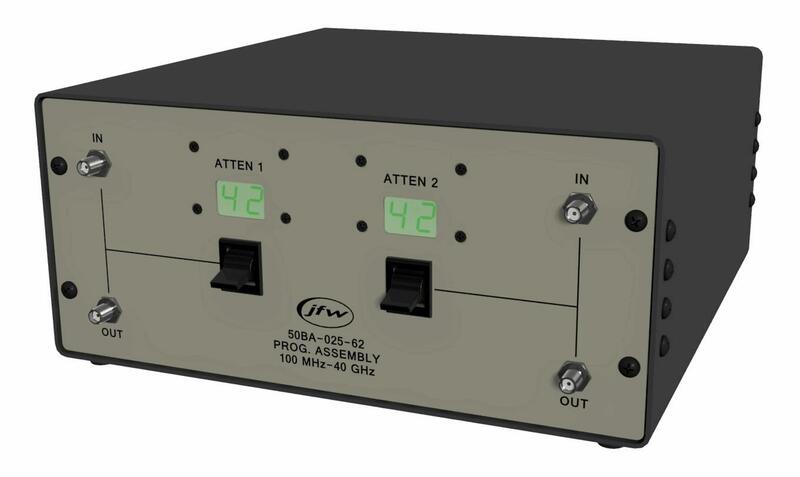 JFW’s 50BA-024-62 is a mini benchtop programmable attenuator assembly designed for mm-wave testing. It is configured with one solid-state programmable attenuator, and it features an attenuation range of 0 to 62 dB in 1 dB increments and 50 Ohms nominal impedance. For more specifications on the 50BA-024-62 programmable attenuator system, download the datasheet and technical drawing.